Hello there! Whether we know each other from family, friendship, or a mutual acquaintance, I'd like to thank you for taking the time to hear about how you can travel with me to Europe in 2018! On a recent trip to Germany I became involved with the Atlantic Bridge, a brilliant missions organization based in the Netherlands. Their mission for the past 30 years has been to reconnect the youth with the church. 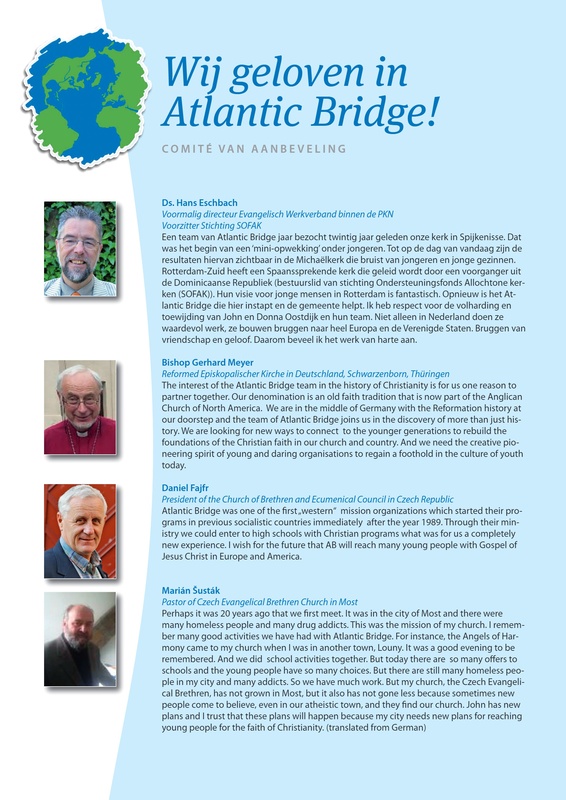 Atlantic Bridge has been breaking down the old walls set up around prejudice, ignorance, and indifference, and replacing them with bridges of friendship, faith, and understanding. 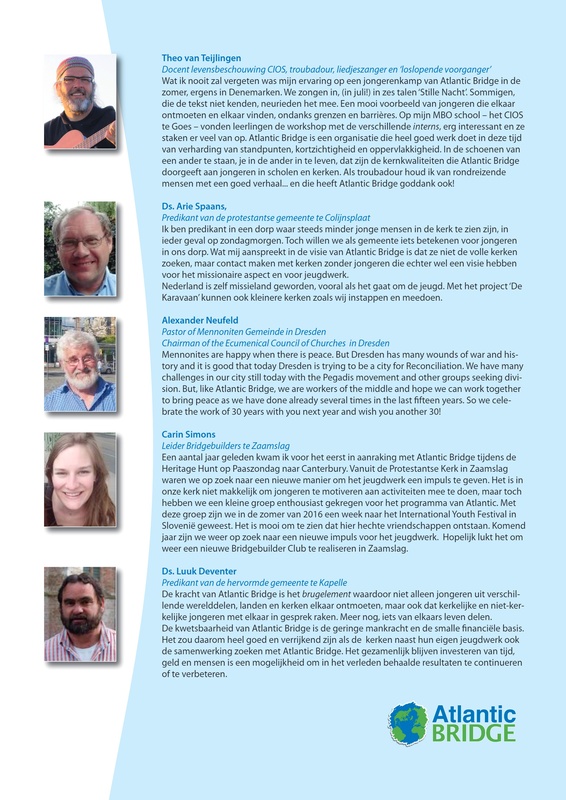 I have been impressed by the initiative and energy Ian has shown to jump into a missions adventure with Atlantic Bridge. If you have never heard of us, it is probably because we spend more time and money on the ground level operations than on advertisement, and because we are an out- of- the- box mission. There are always a couple of things I tell Christians from up front. We are not an evangelistic, but more a ‘pre-evangelism’ mission, ploughing the fields, removing the stones. In that sense our semantics may not reflect very well what our heart is about. All because we need to be careful about how we communicate in a setting where atheism is closer to the heart of people than the Christian faith. I am happy to welcome Ian in our mission. From his desire and abilities he will be a good fit for our Circuit Riders project. We need someone willing to travel and accompany Circuit Riders (artists, teachers, etc. on ten day to two week tours of schools in predominantly Central but also in Western Europe. Circuit Riders and those coordinating this mission cannot live from the wind, as we say in Dutch. Support is needed and I ask you to consider supporting Ian on this mission. This mission and purpose has been brought to me for a reason, and it is my wish to see it through. Thank you for your time, and please consider supporting this cause by pledging to one of the tiers or choosing to make a one-time donation at this link, as well as sharing it with friends and family! All tiers will be able to read my weekly mission updates, as well as a monthly video update! All tiers will be able to read my weekly mission updates, as well as a monthly video update!All tiers will be able to read my weekly mission updates, as well as a monthly video update!